A strong online presence is of utmost importance for any company to make it big in the specific industry. SEO is by far the most effective way to build the image of a brand and create a strong online presence. 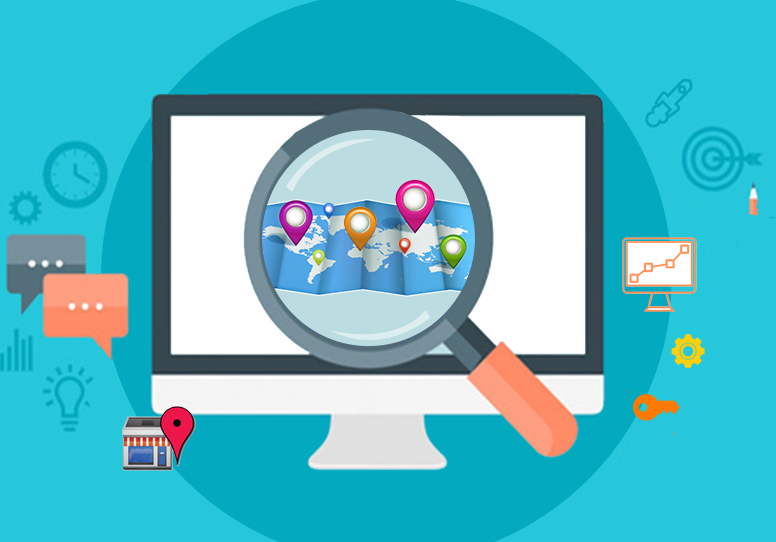 With social media gaining pace in recent years, it has become extremely vital for businesses to integrate SEO strategies with social media activities. 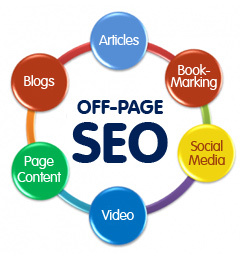 Search engine algorithms lay utmost importance on best quality content. 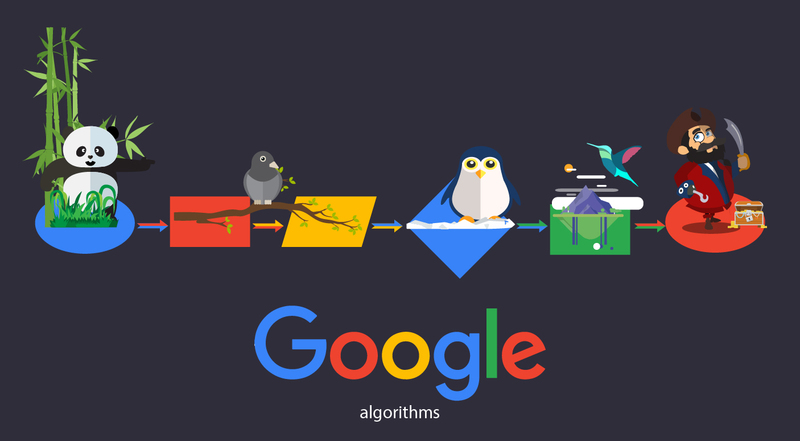 This means that any good quality content that gets maximum shares in various online networking channels are bound to climb up search engine page rankings. If a piece of content gets shared rapidly, receives more tweets or high Facebook likes, then it will rank better for that particular search. 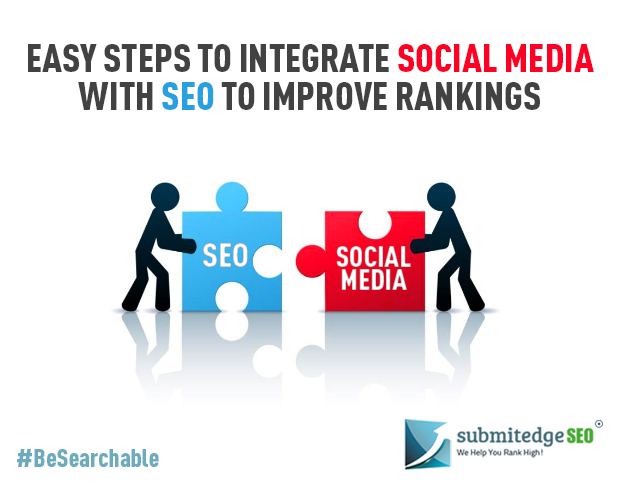 This has made it very crucial for every business to merge social media and SEO plans and co-relate them in an appropriate way to get better combined results. 1. 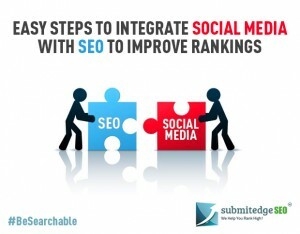 The first and foremost step is to obviously create profiles in various social media networks. It is essential to keep your brand active by posting fresh content, pictures and videos consistently. 2. The most effective way to get more traffic using social media is to link your website to these networks. This provides better lead conversion. It is also important to develop a set of audience who will check for your updates regularly and share them. 3. Users on the internet want everything to be easily accessible to them. Ensure to give an option where users can easily share your posts. More number of shares directly impacts search results. 4. Make the content interactive to ensure that users participate in the form of re-tweets, follows, likes, share and also discuss the topic you have posted. Add Meta tags using appropriate keywords to promote the profile and web pages. You can use keywords in your tweets, Facebook page updates and image descriptions. 5. Add content on social bookmarking sites as this will give a chance to new users to see your work. 6. Improve graphic appearance of website content and social media buttons. 7. You can conduct an analysis of which keywords are most popular to draw audiences to your website and use them while creating content for networking websites. You can also check which Facebook posts are most popular. This will let you know what users are interested in and accordingly create new posts. 8. The important factor is to create content that people want to read. No matter how good the quality of information may be, if it is not relevant, it is of no use. Interesting information is definite to naturally get more shares and likes.